Schools are increasingly aware that prospective parents and their children are not only interested in what is taught in the classroom. Yes, one expects a broad curriculum which includes a focus on core subjects such as Maths, English and Science. However, the demand for an extensive range of languages is deemed to be of great importance too. As a consequence Cranmore School now teaches Spanish, Classical Greek and Mandarin as well as the traditional French and Latin found in many schools. It is also important to make strong provision for the creative side and it is hardly surprising that many good schools are proud of their pupils’ achievements in Art, Design and Music. Another element which has had considerable media attention is the place of Sport in school. 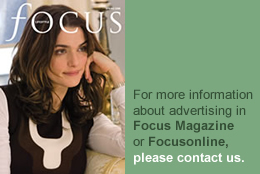 Much was written about this topic during the Olympics, the Football World Cup and, more recently, the Commonwealth Games. Perhaps it is stating the obvious by suggesting that we can only hope to produce world class athletes by developing skills at an early age in school. It is against this background that schools recognise that the quality of their extra-curricular programme is hugely important. It is simply not possible to squeeze everything into the normal timetable so Cranmore, like many others, offers a remarkable range of activities – before and after lessons – as well as during lunchtime. This ensures that children who wish to develop their talents in different areas e.g. Music and Sport are not forced to choose one or other. Instead, they can sign up to a series of clubs and activities which closely match their particular interests. At Cranmore a pupil might well have an individual music lesson or choir rehearsal first thing in the morning, join the other members of Electronics Club or Cookery Club at lunchtime and end the day with a rugby practice after lessons. One has to be careful about overloading a child but experience suggests that children cope well if they have a variety of interests. Of course, many children join outside clubs and groups although these tend to be for the major sports. However, at Cranmore we have a thriving ski club and rowing club in addition to the more usual rugby, football, cricket, tennis and swimming. We have discovered that Archery and Fencing are popular too and, with all those cooking programmes on TV it is no surprise that Cookery Club has become a favourite. In fact, this has led to our very own ‘Ready, Steady, Cook’ Competition. Perhaps the most exciting aspects of extra-curricular opportunities are the many residential trips. Recently our pupils have enjoyed a cricket tour to Barbados, rugby tour to South Africa as well as adventure training nearer home in Dorset. There is evidence to suggest that by providing a high quality extra-curricular programme schools can really develop a child’s true potential which, of course, can make all the difference when it comes to writing about interests and hobbies in a UCAS Form! Hailed as the world’s most popular sport, women’s football is now one of the fastest growing team sports worldwide. The glamour of the World Cup, the Premiership and the Olympic Games, which featured both men’s and women’s competitions, has kicked off increased popularity in football. Hailed as the world’s most popular sport, women’s football is now one of the fastest growing team sports worldwide. Football has also played an important role in education since the early 19th century. The education authorities observed how well the sport served to encourage qualities such as loyalty, selflessness, cooperation, subordination and deference to the team spirit. 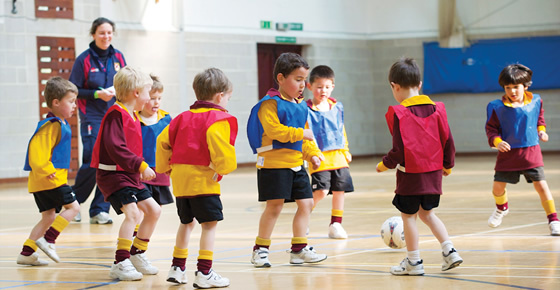 Games became an integral part of school curriculums around the country and participation in football compulsory. King Edward’s Witley has long recognised the significant value of sport and football as part of its full and varied extra-curricular programme. The School offers its pupils the opportunity to excel in their academic studies and also provides a highly motivating and inspiring environment for children to equally thrive in other sporting and creative activities. While academic studies remain a priority at King Edward’s, its technical centres, playing fields, studios and classrooms buzz with activities from cookery to printing, life saving to learning a language, rock climbing to canoeing. The School has an enviable reputation for the delivery of outstanding drama and musical productions and offers a range of creative pursuits including art and sculpture, fashion, crafts and technology. And when it comes to football, King Edward’s excels. All pupils are encouraged to participate whatever their ability and the School runs teams at every age group. King Edward’s prestigious fixture list includes playing Eton, Hampton, Charterhouse and Lancing. The King Edward’s Under 16 boys team had a highly successful 2014 football season, reaching the final of the ISFA Under 16 Shield. 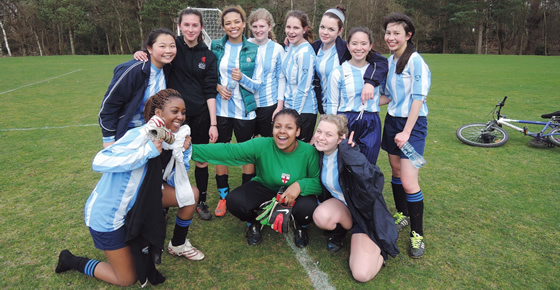 The sport was first embraced for girl pupils in 2006 and since then King Edward’s has gone on to achieve considerable success culminating in winning the first ever ISFA Under 18 South Eastern League in 2014. The football programme is overseen by Director of Football, Mr Dan Abraham, who is responsible for the development of players during their time at the School and for ensuring the coaching is of the highest standard. Through the avenue of extra-curricular choices, pupils gain useful new skills, whilst also improving their time management / critical thinking competencies, teamwork and of course social aptitude. They also develop life-long relationships with their peers and learn how to lead others. All these experiences will be beneficial in their future lives, at university and in any given chosen career. Halliford School is celebrating another year of excellent academic results, with almost all A Level students being offered places at their first choice universities. But Halliford is not only about academic achievement. The school prides itself on its nurturing environment, where the 445 students are encouraged to maximise their academic potential whilst experiencing opportunities to develop skills beyond the classroom – in sports, music, art, and drama as well as a range of extra-curricular activities and trips. As part of its continued development, this Shepperton-based independent day school for boys aged 11 to 18, and girls 16 to 18, has expanded beyond the original Georgian house that passers-by see from Russell Road. Behind the house are modern buildings housing light and airy classrooms, IT suites and laboratories, a theatre, library and a spacious sports hall. There are also on-site sports fields with additional facilities within walking distance. The new music, art and Sixth Form Centre has now been open for two years, offering state of the art facilities – art studios, a new music school including a recital room with grand piano, and a music IT suite and recording studio, along with extra space for the growing numbers entering the co-educational Sixth Form. Music and Drama are an important part of Halliford life, with students regularly participating in school productions as well as showcasing their talents at external venues such as the Edinburgh Festival, and on a recent New York music trip. Halliford is proud of its caring ethos where small classes enable staff to get to know all of their pupils personally, meeting their individual educational needs, whether that involves challenging more academically able students, or providing extra support for those that need it. Emerging from this vibrant community the Halliford student goes out into the adult world equipped with self-confidence and a sense of purpose, an excellent education, awareness of the needs of others and often, examination results far beyond his or her expectations. Halliford is also particularly proud of its sporting achievements in rugby, football, cricket and athletics, to name but a few. As well as team achievements, some individuals triumph at national level in their sport of choice. 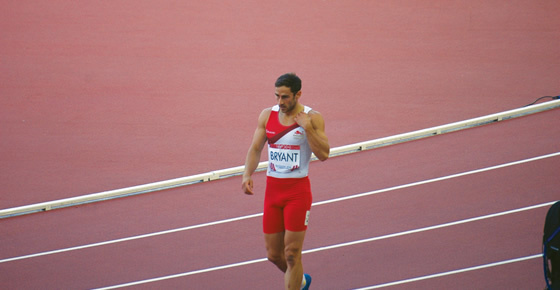 And there has been recent international glory for former Halliford student Ashley Bryant who won a Commonwealth Games Silver Medal in the Decathlon, adding to his collection of medals and trophies won at schoolboy and adult level over the past nine years.